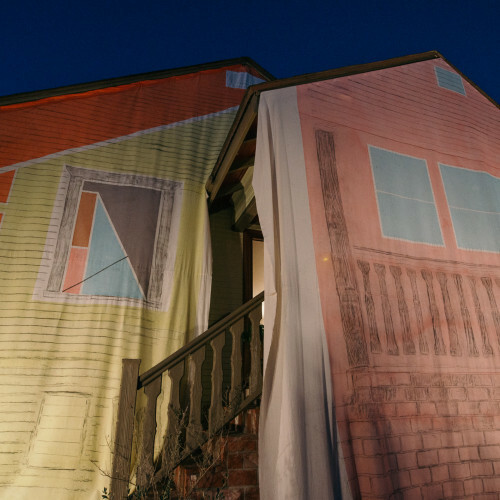 Using fabric, I painted an interpretation of my father’s architectural drawings of houses he wanted to build in Mexico, which he created when we immigrated to LA. 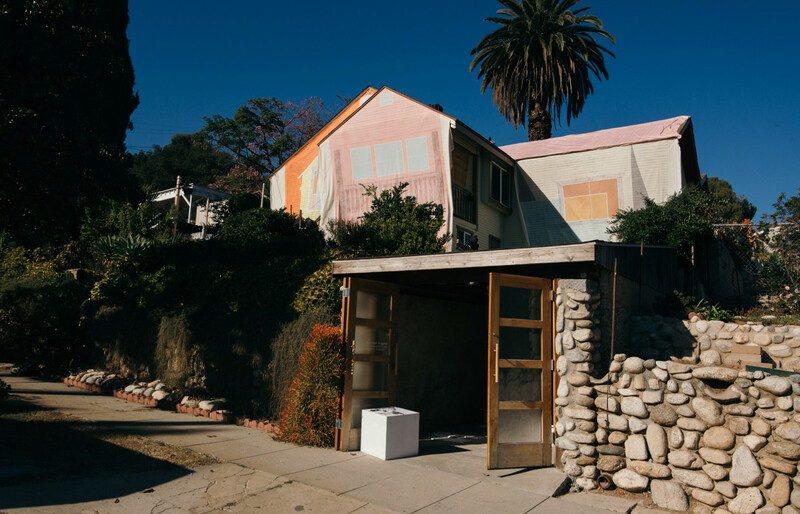 I also layered a 1:1 graphite rubbing of the actual house underneath, to create a new and imagined facade. 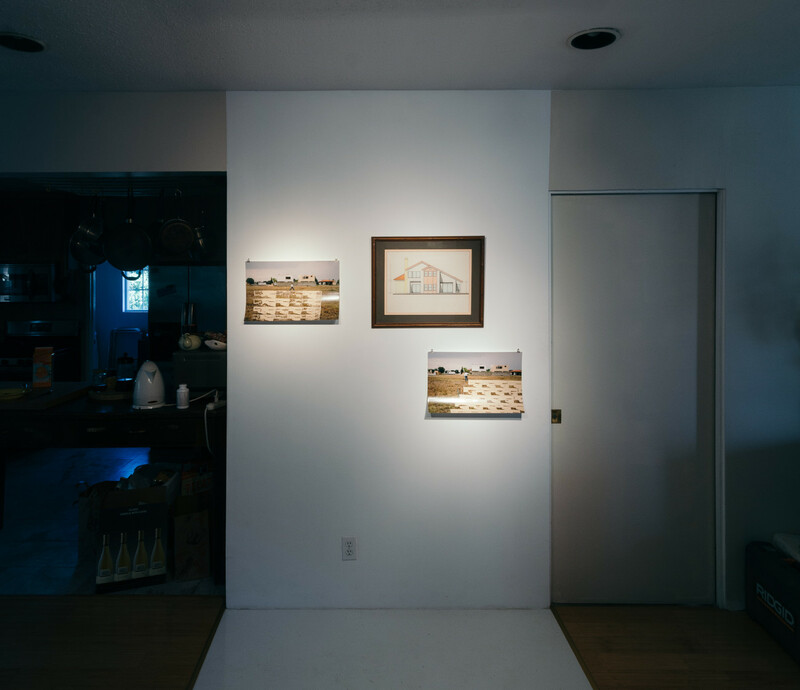 The work addressed how I feel about the possibility of home ownership, shaped both economically and culturally. 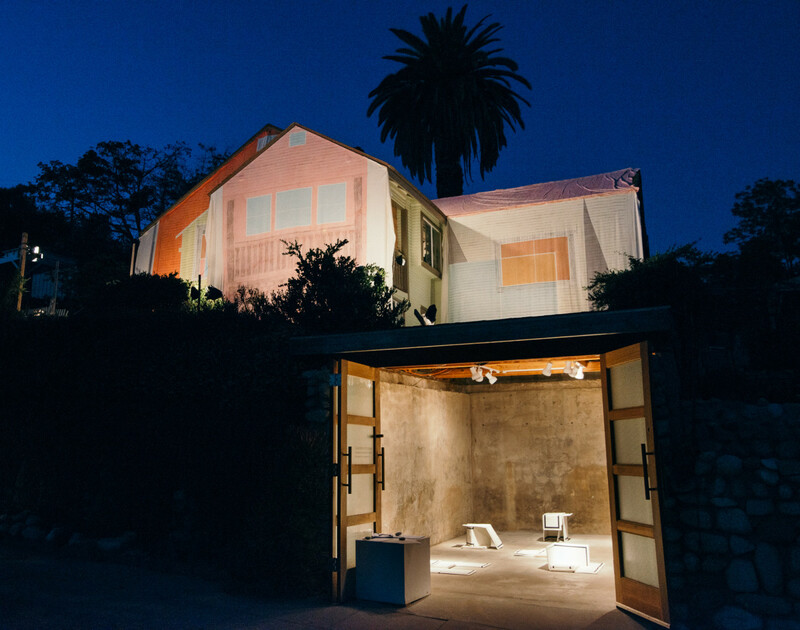 From the exhibition Houses he wanted to build at Adjunct Positions, Los Angeles. 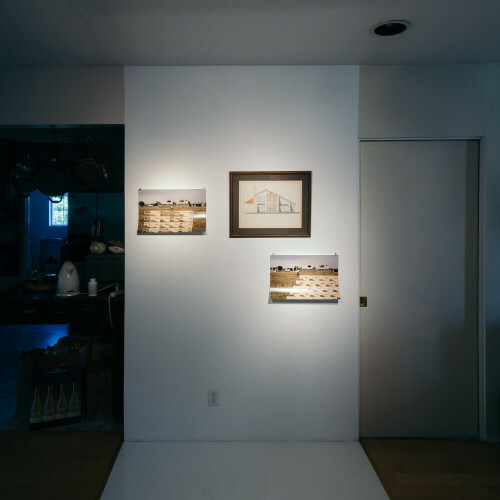 November 7 – December 12. 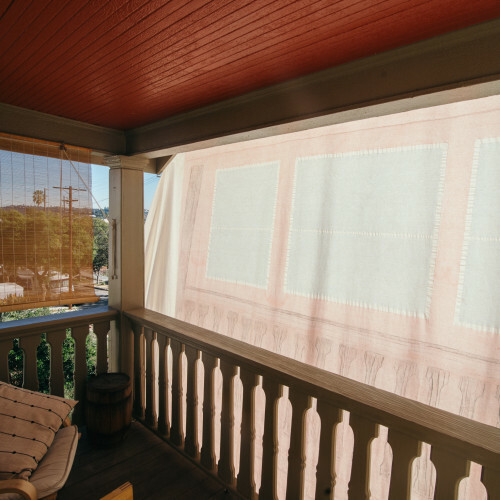 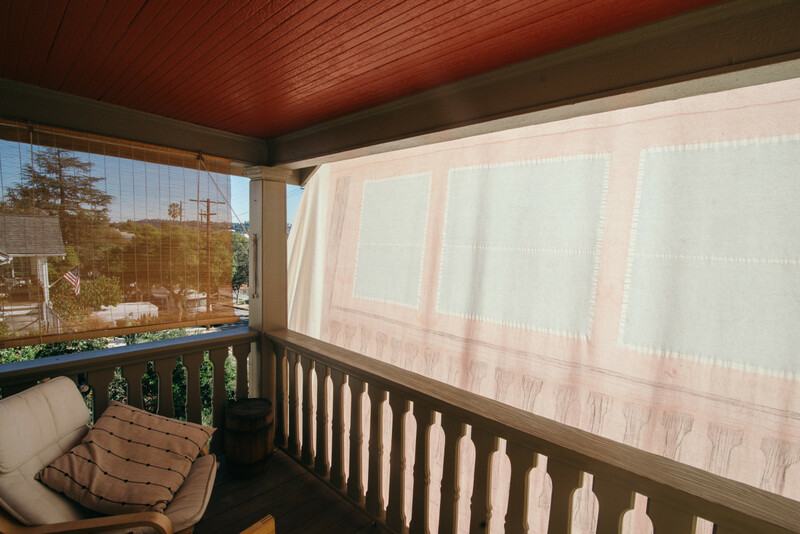 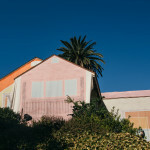 For her site-specific installation, Argote hangs a series of mantas, a muslin cloth treated with paint and graphite rubbings, to create an exterior layer hanging from the eaves of the Adjunct Positions home. 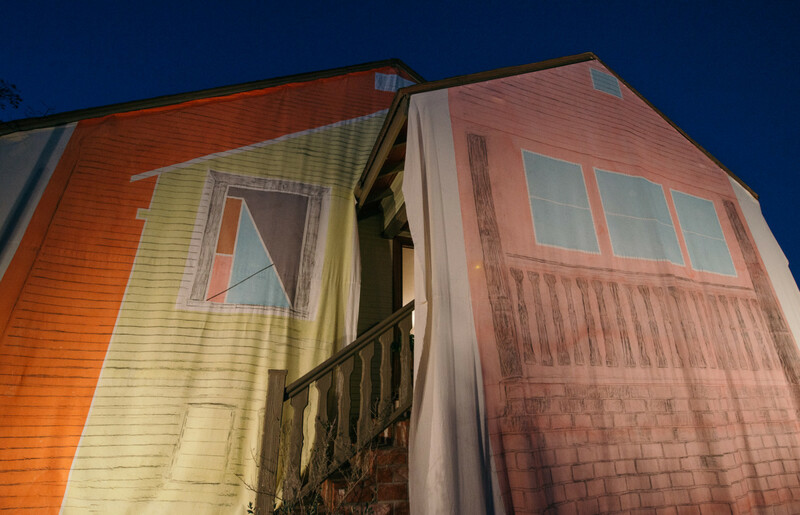 On these hanging mantas, which re-create the full front face of the house, Argote combines architectural rubbings of the house itself with an overlay of painted structures from her father’s architectural drawings. 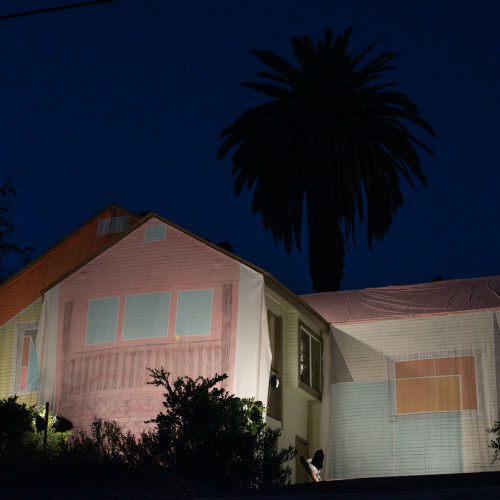 Argote’s father, an architect in Guadalajara, Mexico, created architectural renderings of houses that he wanted to build, all rendered in a 1970’s style incorporating light tangerine, pink, and light blue sections on their facades, which reflect the standard of his architectural education in Mexico. 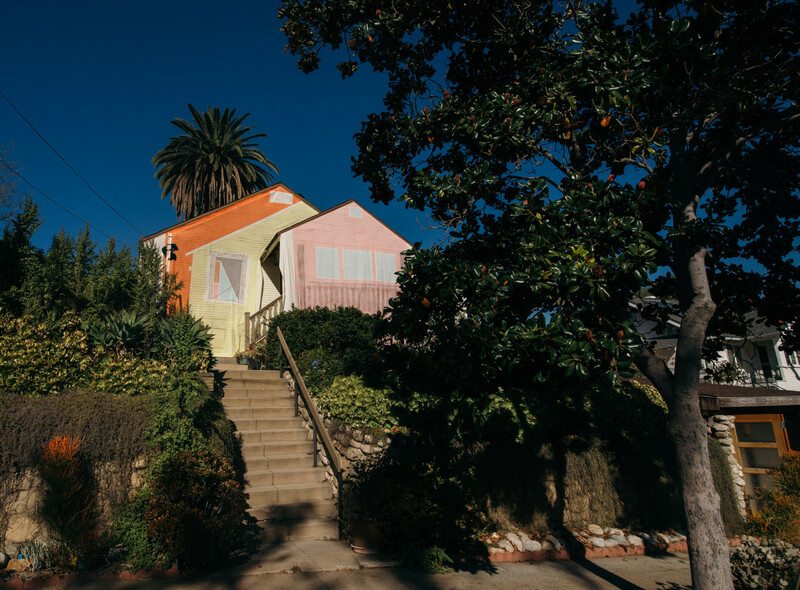 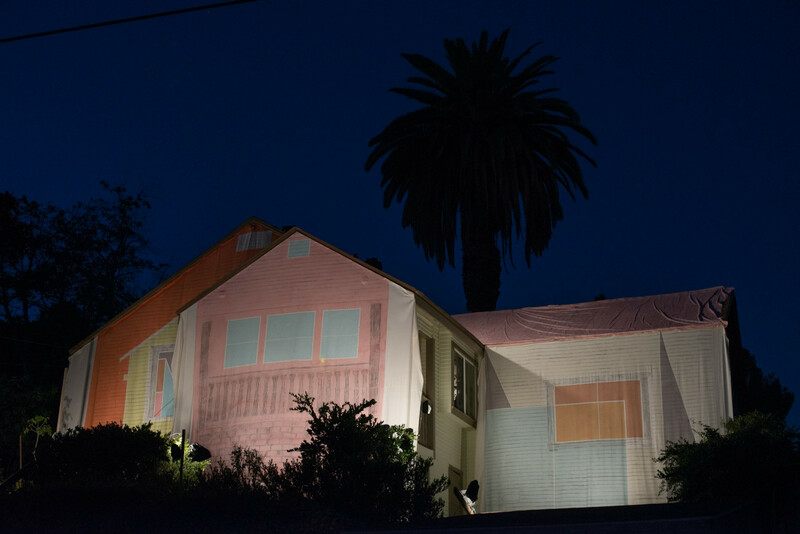 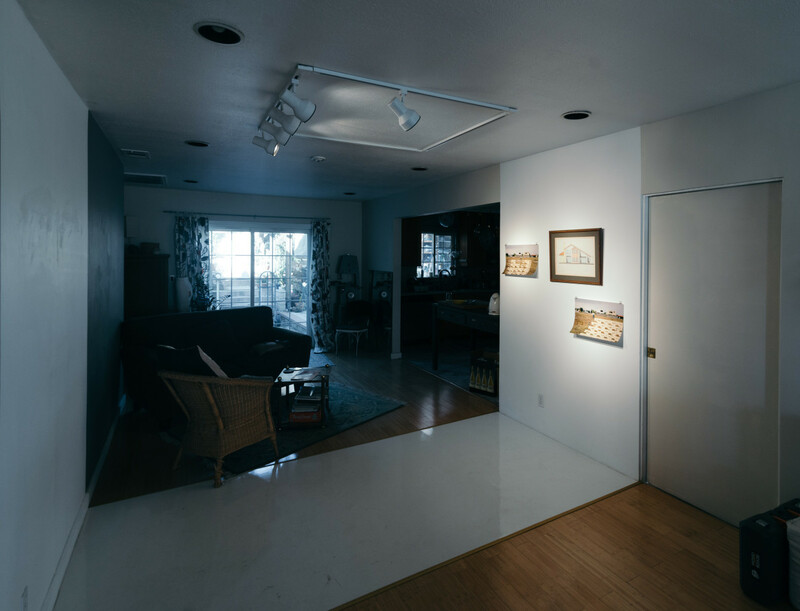 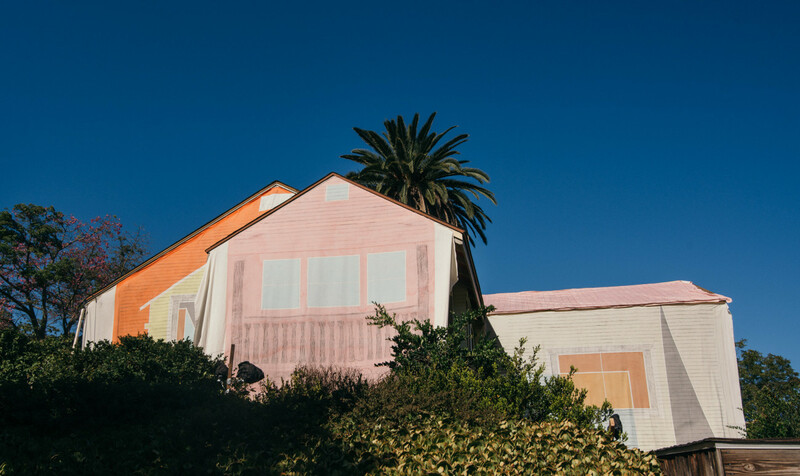 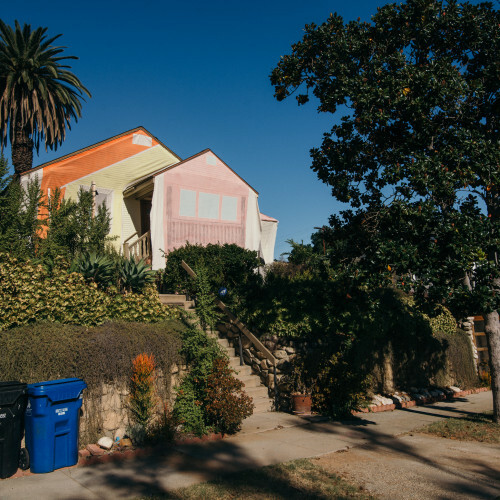 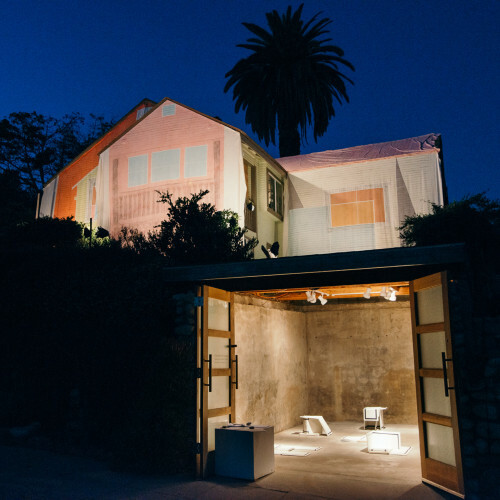 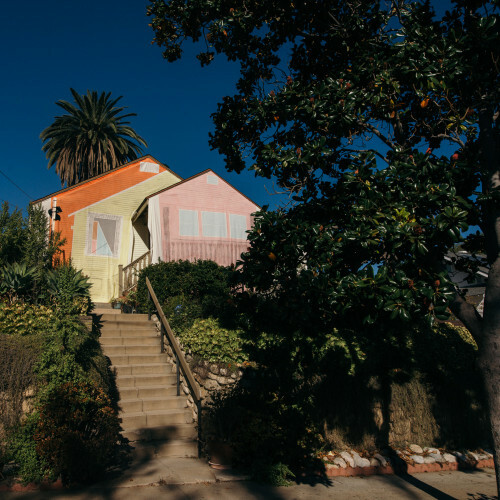 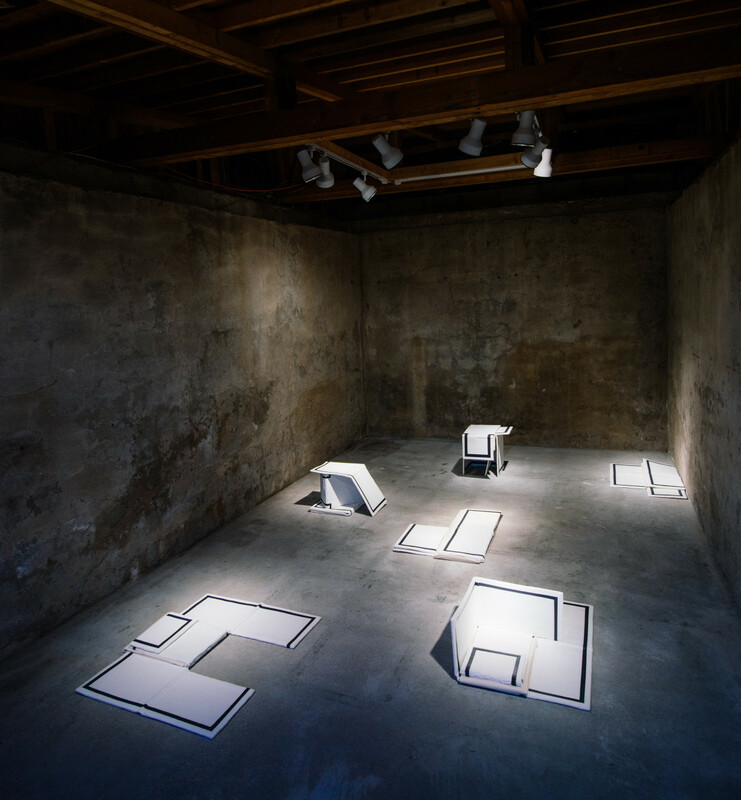 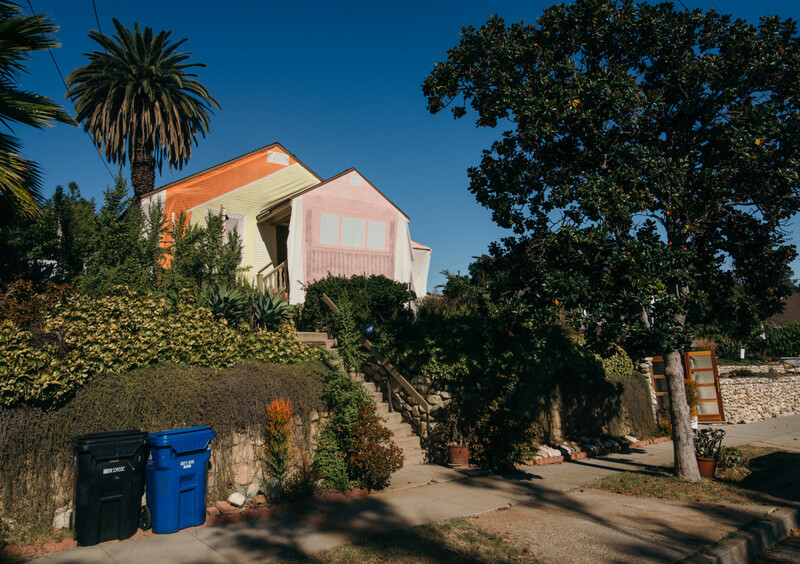 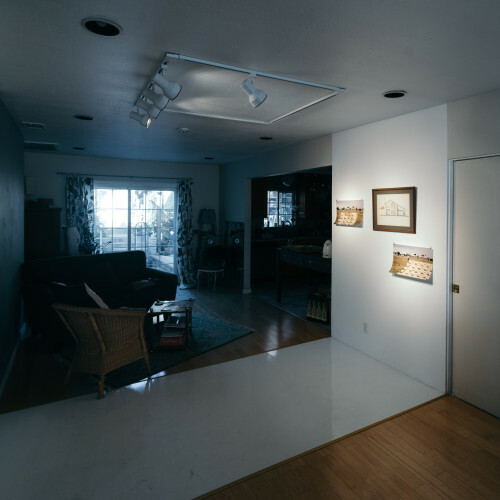 The installation stems from Argote’s personal relationship to the possibility of homeownership, from her parents’ relationship to housing, and from her immigrant experience as it relates to the Los Angeles landscape. 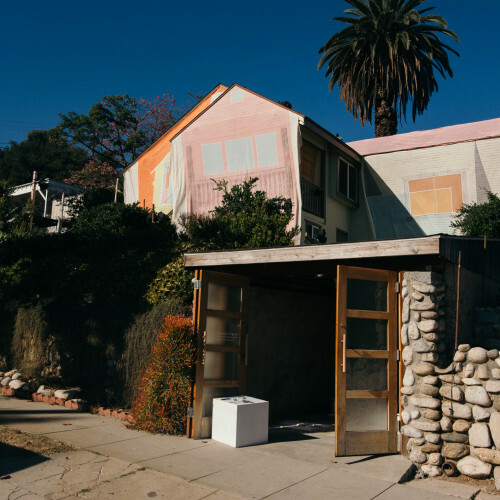 In this way Argote overlays a personal history onto the facade of the gallery home, a continuation of an artmaking process focused on her father’s longing to return to Guadalajara. 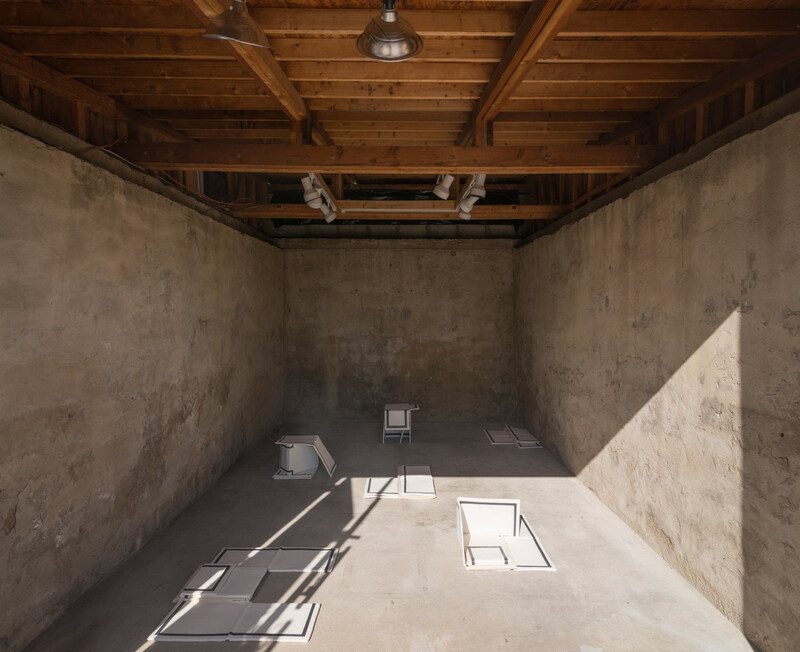 By extension the work also forms Argote’s own longing for home outside of an actual structure as an imagined architecture. 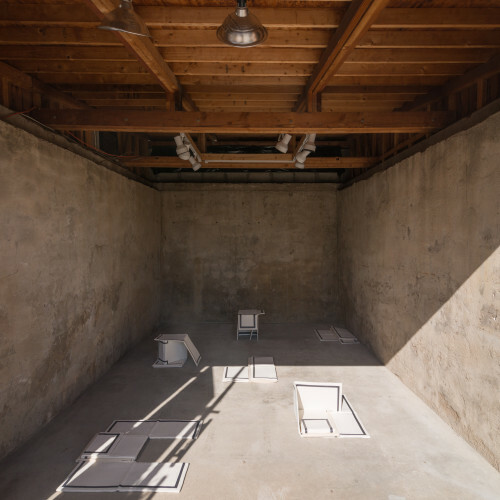 Within the lower gallery at Adjunct Positions, Argote displays a series of sculptures inspired by a simple laundry folding tool, which Argote has co-opted as a sculptural form. 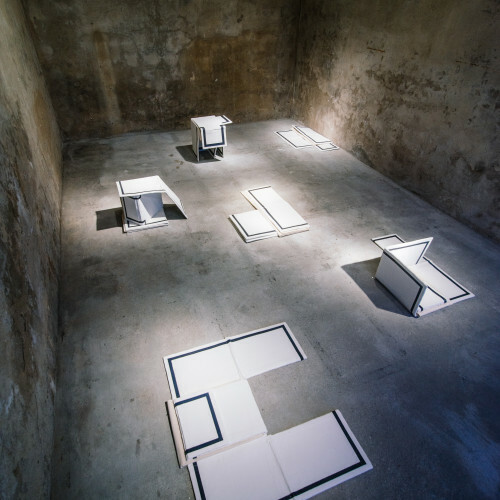 These sculptures are reminiscent of both architectural structure and the physical movement which translates loose fabric into folded structure. They embody the ritual of folding, a process of layering over onto itself, so that one part covers another. 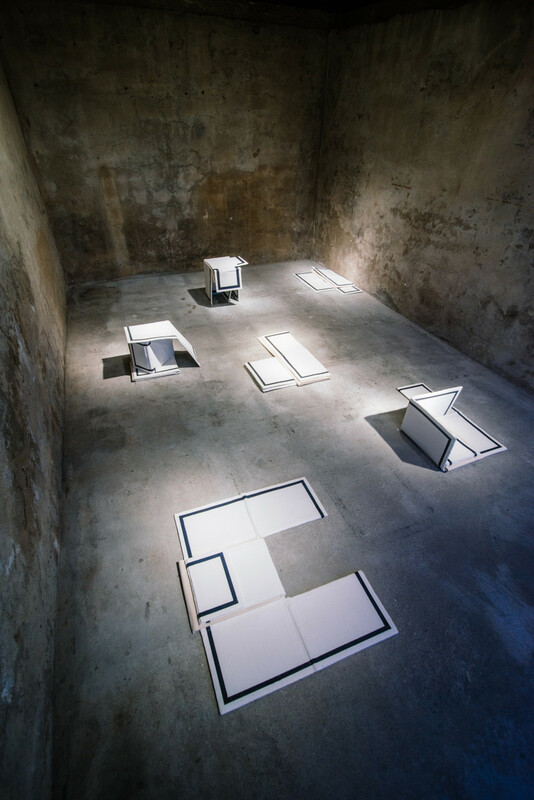 The folded structures, like the installation, are of a human scale, yet transform into architectural models through repetition and play.